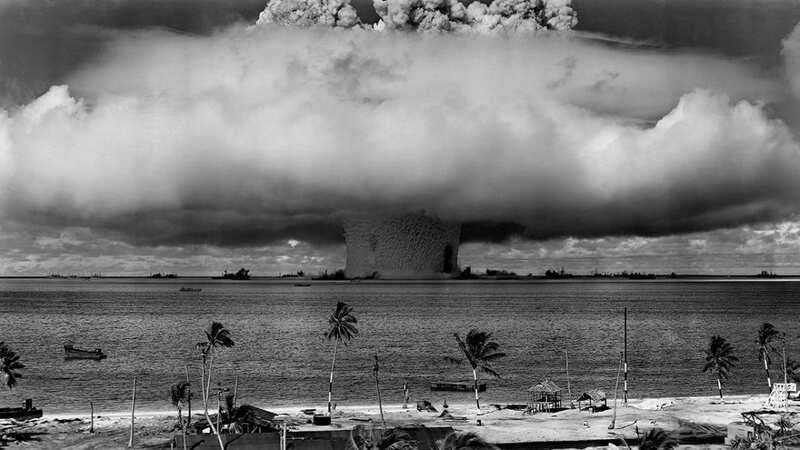 In July 1946, the U.S. military detonated a nuclear weapon 90 feet under water near Bikini Atoll. A geyser of radioactive water fell back into the lagoon, contaminating many nearby target ships. It was the second of 67 nuclear weapons tests inflicted on the Marshall Islands between 1946 and 1958. Ken Buesseler climbed the highest peak on Enewetak Atoll and peered out over the expanse of paradise below. Offshore lay an azure lagoon inked with a dark-blue circle at its center. But this hole wasn’t natural. It was created by an atomic bomb—one a of series of 67 nuclear weapons tests conducted by the United States between 1946 and 1958 on the tiny Marshall Islands in the Pacific Ocean. The highest peak on Enewetak also isn’t natural. It’s a massive 350-foot-wide concrete lid known as the Runit Dome that rises just ten feet above sea level. It was constructed in the late 1970s as an attempt by the U.S. government to contain radioactivity from the nuclear tests. Some 111,000 cubic yards of radioactive topsoil and debris were bulldozed into another bomb crater and sealed over with a mosaic of several hundred concrete panels. “It was a temporary fix,” said Buesseler, a marine chemist at Woods Hole Oceanographic Institution. As Buesseler stood atop the dome with his WHOI colleague Matthew Charette, palm fronds rustled softly in the distance. A Geiger counter in Buesseler’s hand clicked away. The clicks indicated whether the scientists were being exposed to radiation beyond safe background levels from the nuclear waste dump buried beneath their flip-flops. 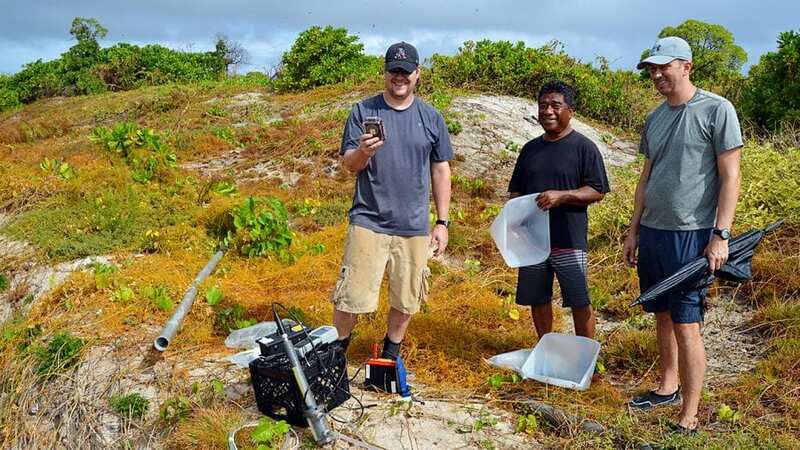 Buesseler and Charette led a research team that came to the Marshall Islands in 2015 to study the sources, flow, and extent of radioactive contaminants on Bikini and Enewetak Atolls nearly 70 years after the nuclear battering. But what they learned could also be applied to a more recent nuclear disaster: the 2011 Fukushima Daiichi reactor meltdown in Japan. The safety question has been a difficult one for the people of Bikini and Enewetak atolls. Nuclear weapons were tested on them for more than a decade, and the atolls were pummeled by bombs. They were blanketed with radioactive fallout that spread across lagoons and beaches and eventually settled into island soils and food sources. Before the first bomb was dropped in July 1946, U.S. Navy officials persuaded 167 residents of Bikini to be evacuated to another island “for the good of mankind” so that the military could conduct a mission known as Operation Crossroads. 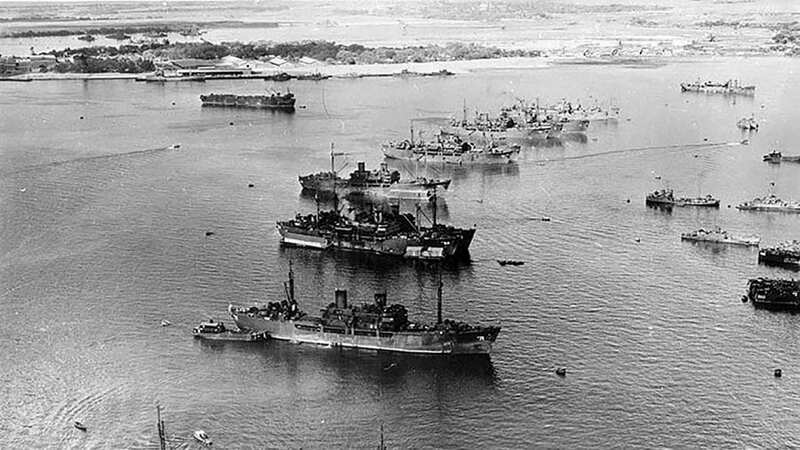 The Navy had scattered 95 surplus U.S. and some captured Japanese and German ships around Bikini’s lagoon. Pigs, rats, and other test animals were tethered on board. The goal was to see how they would survive nuclear attack and demonstrate that this newly emerging weapon would not render navies obsolete. 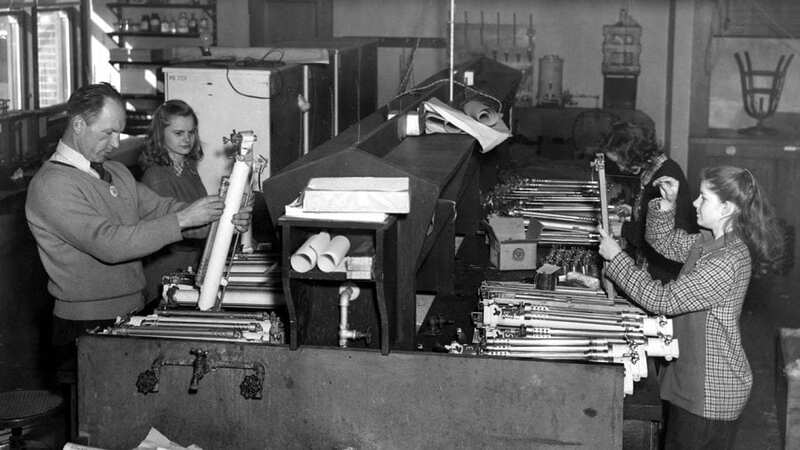 Throughout World War II, scores of WHOI scientists had worked on research to help the Navy. They developed paints to prevent organisms such as barnacles from collecting on ship hulls. They investigated better undersea explosives. They made discoveries about sound propagation in the ocean that enabled submarines to escape sonar detection. In the immediate postwar era, the collaborative momentum continued. As Operation Crossroads unfolded, dozens of WHOI scientists mobilized to Bikini to take advantage of the unprecedented opportunity to study the impact of atomic explosions on the ocean. 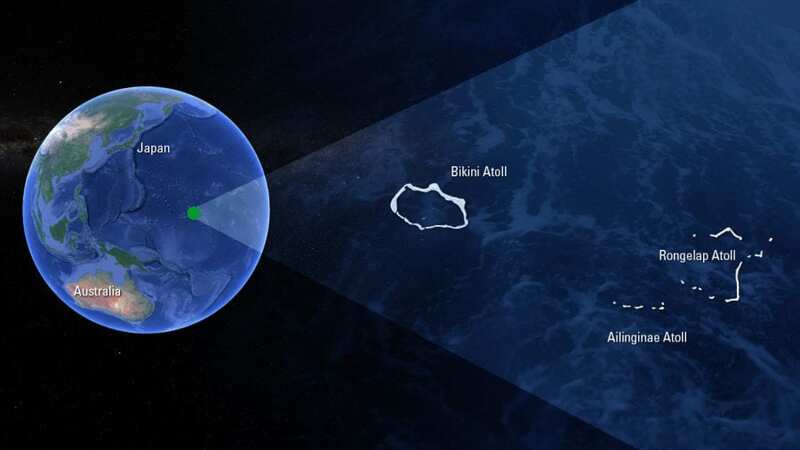 They wanted to study phenomena such as how ocean circulation in and outside the lagoon moved radioactive materials and how high waves generated by the blasts reached on nearby islands. Monitoring technologies were different back then; to collect data on wave heights, WHOI engineer Allyn Vine nailed empty tin cans at various heights onto palm trees. The first bomb was detonated 520 feet above the ships, sinking five of them within 3,000 feet of the blast. A few weeks later, bomb No. 2 was detonated—this time under water. It pummeled ships within 3,000 feet, created a crater on the seafloor, and triggered a 94-foot tsunami wave. A plume of nearly two million tons of water—6,000 feet high and 2,000 feet wide—spewed into the atmosphere. That deluged the target fleet with radioactive spray. Ultimately, only nine could be decontaminated adequately enough to be sold for scrap. On their new island of Rongerik, the diplaced Bikinians were unable to replicate their lifestyle based on lagoon fishing. The fishing conditions were poor, and the sparsely vegetated landscape meant there was an exhaustible supply of coconuts and fruits. They became malnourished and dependent on U.S. government food shipments. Within two years, they were relocated and dispersed to other islands, including Kwajalein and Kili. As the Bikinians’ native land was being eroded by bomb blasts, so too was their lagoon-fishing culture and way of life. 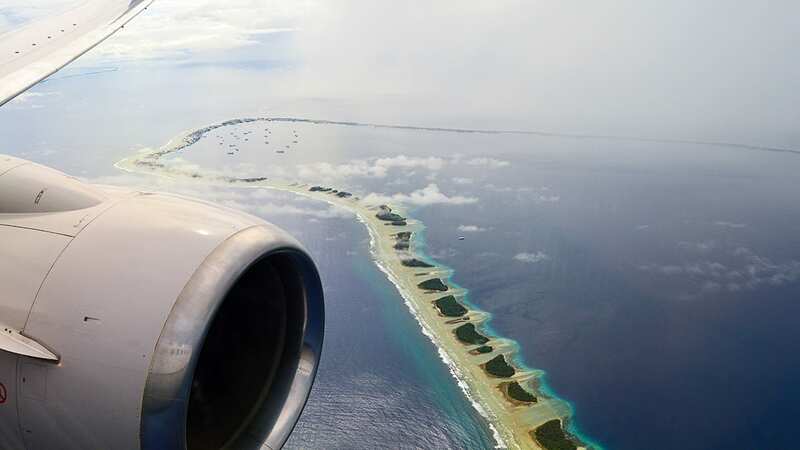 They longed for the ring-shaped cluster of islands they had called home and that they had assumed, based on loose assurances by the U.S. military, they could return to once the dust settled. After more than two decades, the U.S. declared the atoll “radiologically safe.” A hundred or so Bikinians hedged their bets and moved back in 1974, re-immersing themselves into the time-honored Bikinian way of life. WHOI scientists returned to Bikini in the 1970s to survey radiologic conditions across lagoon sediments and in the open Pacific and see how things were evolving. They found evidence of ongoing sources of radioactivity. Soon after, radiation scans of residents began showing dangerously high levels of cesium that were “incredible,” according to U.S. Department of Interior officials. 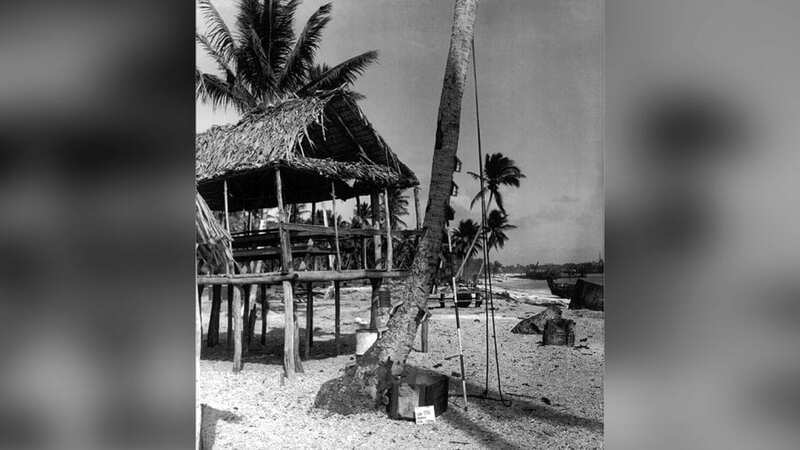 It turns out that palm trees were soaking up vast amounts of radioactive elements from the soil and transferring it to coconuts, a staple of the Marshallese diet. By 1978, residents were evacuated once again. Displaced and disheartened, they realized they might never be able to go home again. WHOI’s third visit to Bikini in 2015 was yet another chance to see where, and how, the atoll’s radioactive faucets were dripping. The golden opportunity came from support from the Dalio Foundation and the Dalio Explore Fund, aboard the 185-foot research vessel Alucia. The arrangement belied a larger problem: a lack of government funding to study the effects of nuclear disasters on the ocean. The research team landed in Majuro, the boomerang-shaped capital of the Marshall Islands, and boarded Alucia for the cruise out to the atolls. There were two primary research goals. First, they wanted to collect lagoon and groundwater samples and compare them with those taken when WHOI scientists visited Bikini in the 1970s to determine the extent of ongoing contamination flowing into the Pacific. Then, they wanted to relate their findings to the 2011 Fukushima nuclear disaster in Japan. During that accident, 50-foot tsunami waves—triggered by a magnitude-9.0 earthquake—barreled over the Daiichi nuclear power plant’s seawalls. This caused power outages and overheating that led to several hydrogen-air explosions before radioactive gases and liquids began pouring out into the Pacific. Thousands of people died or went missing because of the tsunami. The scientists split up task-force style. Buesseler and his team took to the sea, collecting seawater and sediment samples from the lagoon, while Charette and his associates stayed on land searching for groundwater. 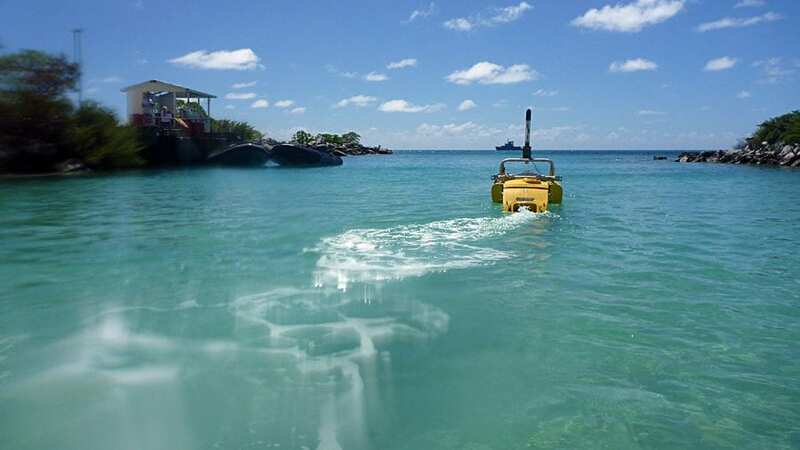 Seawater was collected manually from the ship by filling five-gallon bottles at selected sites through the lagoon and autonomously via WHOI’s Jetyak, an autonomous surface vehicle that looks like a kayak with no person aboard. That’s by design—the Jetyak can collect samples even in hazardous waters. Sediment samples were cored from the lagoon’s floor with poster tube-sized collectors that were jabbed into the seafloor craters, filled with mud, and capped. Some craters went down more than 150 feet, so getting sediment from those spots required special diving equipment and safety precautions. “If there’s one thing the Alucia is prepared for, it’s scuba diving. So we enlisted some of the diving staff on board to help with the push cores,” Buesseler said. Back on land, Charette and crew tracked down groundwater wells with help from the local residents. They deployed pumping stations to draw groundwater up to the surface and measured it for salinity, dissolved oxygen, and pH with a multiprobe instrument. 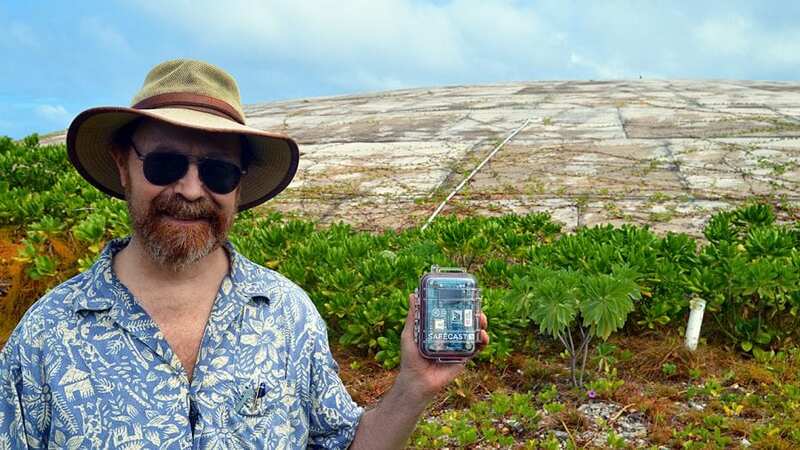 Then, samples were bottled up for lab analysis of cesium levels, metals, and radium—a naturally occurring radioactive “tracer” element with which scientists can determine how much groundwater flows from the atolls into the Pacific Ocean. After two days of sampling on Bikini, the scientists sailed 200 miles east to Enewetak for more sampling. 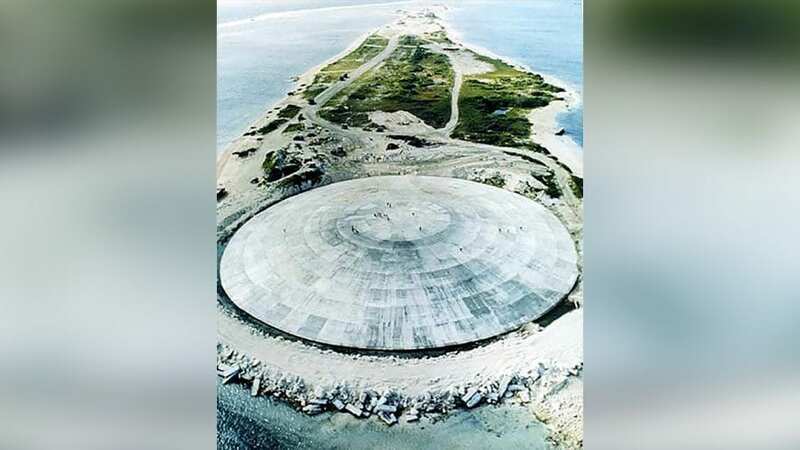 The atoll, which had been pounded by more than 40 bomb tests between 1948 and 1958, had an additional suspected source of radioactivity: the debris sitting beneath the concrete-capped Runit Dome. 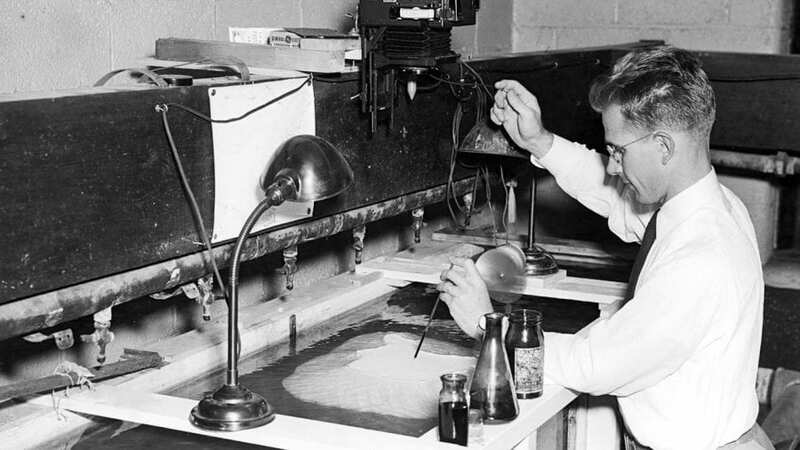 Buesseler is a realist who understands radioactivity—when it’s dangerous and when it’s not. His experience in the field goes back to his Ph.D. research and early studies on the Chernobyl nuclear disaster in 1986. When he talks about radioactivity, he doesn’t overstate or understate the danger. He reports on findings rooted in empirical data. And the fact that he garbs himself in cargo shorts and flip-flops on radioactive hot spots isn’t to shrug off the hazard or make a statement, but rather to dress in accordance with what he knows to be the relative risk of his surroundings. Knowing what the radiation levels are and how they tend to move around can help establish a baseline for nuclear-blasted areas like Bikini. And that can help inform a better understanding of other disasters such as Fukushima. Charette explained that their post-accident research at Fukushima showed them that wave and tide action has caused some of the highly contaminated water to wash up and filter through beach sands. On Bikini, only a handful of buildings remains today, a few with tropical-colored exteriors that have faded in step with generations of false hope. Amid these structures stands a drab, derelict garage that was once home to the local fix-it shop. 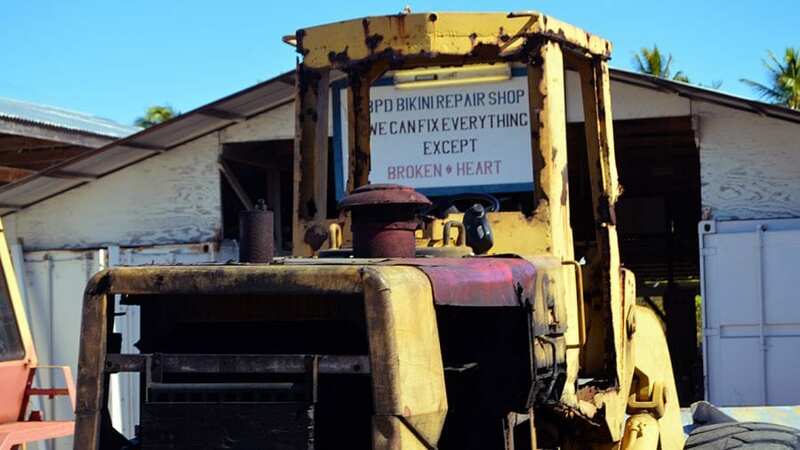 The plywood structure is weathered, but the sign bolted to its frame reads as clear as day: Bikini Repair Shop: We Can Fix Everything Except Broken Heart. These days, there are no more hearts to break on Bikini. It’s a radioactive ghost town, save for a skeleton crew of caretakers and occasional divers looking to plunge into the eerie graveyard of warships dotting the seafloor. To the east on Enewetak is a small but growing contingent of a few hundred islanders living below the swaying palms, many from families that returned after Runit Dome was capped off. Like Bikini, it’s still an island paradise—one Buesseler describes as among the most beautiful places he’s ever been. But paradoxically, it still suffers from a fallout contamination problem that nudges residents to keep up with body scans the way Americans keep up with dental cleanings. Residents are told not to eat much of what they grow, so they subsist on Spam and other canned provisions brought in every few weeks by boat. Buesseler and Charette can’t fix broken hearts, but they can provide answers. 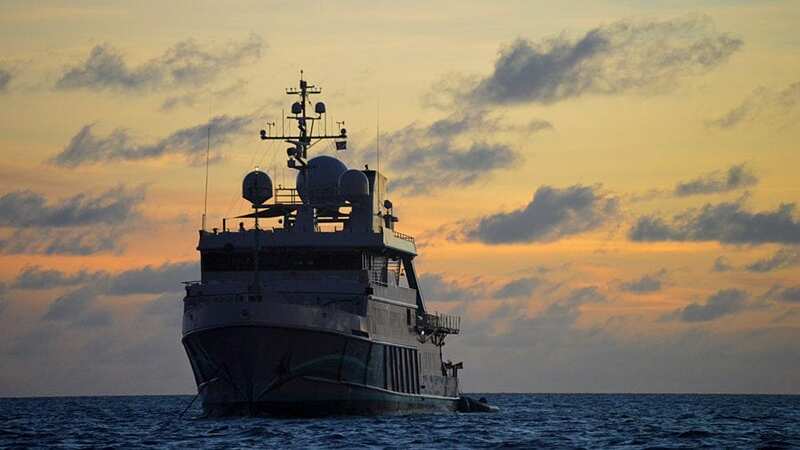 They’ve been processing more than 125 samples taken from the ocean, groundwater, and seafloor to piece together a snapshot of radiologic conditions on the atolls. The work is time-consuming and pricey. On average, it takes a full week to process just four samples, and each processing runs several thousands of dollars between salaries and mass spectrometry costs. But results are coming in. So far, they’re showing higher cesium levels in the lagoon versus the open seas, but not high enough to warrant health concerns. And it appears the main sources of marine radioactivity are coming from lagoon sediments rather than from the groundwater running off the islands. According to Charette, this runs counter to what they expected. He says ruling out groundwater as the dominant source of contamination helps give some idea of the time scales involved for continuing cesium runoff from land in Japan and other places. Meanwhile, Buesseler wants to find ways to get back to the Marshalls to keep a watchful eye on conditions there. In particular, he worries about the dome. Additional support for this research came from the Deerbrook Charitable Trust and the Gordon and Betty Moore Foundation. The Runit Dome on Enewetak was constructed in the late 1970s. The United States bulldozed some 11,000 cubic yards of radioactive topsoil and debris into a crater from a nuclear bomb test and then sealed it over with concrete in an attempt to contain radioactivity. Is seawater leaching underneath the Runit Dome and transporting radioactive compounds into the ocean? The U.S. Navy scattered 95 surplus ships around Bikini Island's lagoon before detonating a nuclear bomb above them. The experiment was designed to determine if ships could survive the emerging nuclear weapons technology.